Atsunori Inaba knows a thing or two about the highs and lows of international competition. In 2008 Inaba represented Japan in the Beijing Olympics, where the Japanese, who, had harbored serious thoughts of gold, were beaten by a group of Triple-A players from the U.S. in their final game and left to stew in fourth place. Inaba then suited up for Japan at the World Baseball Classic in 2009, winning the title with what may have been the greatest collection of talent ever in Japanese baseball. 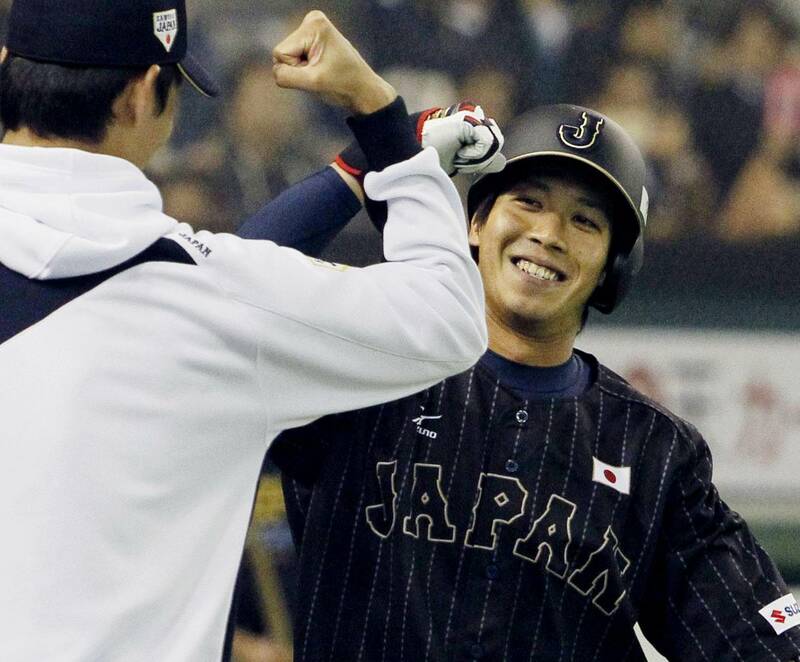 Inaba also played in 2013 WBC, where he helped an all-NPB based team reach the semifinals. So of course it was the level-headed, affable Inaba who saw the big picture after Japan struggled against a team of European players in the first game of the Global Baseball Match 2015 on Tuesday, and actually lost in the finale the next day. Inaba is right of course. The result of the two-game series shouldn’t be of particular importance to a Japan infrastructure already pointed toward this fall’s Premier 12 — and looking even further down the road to the 2017 WBC, the tournament manager Hiroki Kokubo was hired, in 2014, to win. “As much as it’s important to try to win, it’s more important to play in a tense atmosphere like this looking toward 2017,” Inaba said. So even as Japanese fans may be disappointed by not winning both games, the real value was the opportunity to let a few of the players who will fly the flag in the future, players such as Shintaro Fujinami, Yuki Matsui, Yoshitomo Tsutsugo and Tetsuto Yamada, stretch their legs in international competition. There are so few opportunities for these players to get reps in international baseball. So anytime, however brief, Kokubo can get them on the field and in the line of fire is time well spent. Yamada and Tsutsugo were both on the Japan team for the five-game series against the MLB All-Stars in November, and got to play even more this time around. Tsutsugo, whom the Yokohama BayStars have high hopes for, had two hits and a pair of RBIs in the two games against Europe. Yamada also had a pair of hits, one being a solo home run, and walked three times. Fujinami faced the MLBers in November as well, and displayed impressive velocity against Team Europe in Game 2 on Wednesday, striking out three and allowing a pair of hits in two innings. Matsui made his Samurai Japan debut in the eighth inning of the second game and allowed a run on one hit. He struck out one batter, Dutch infielder Curt Smith. Matsui was only in long enough to get his feet wet, but it was enough for him to get an understanding of the gravity of pitching for the senior national team with the fervor of Japan’s baseball fans focused on him. It wasn’t close to being a WBC-type of environment, but it was a good enough taste of the pressure present in international games that Matsui can learn from what he experienced and build on it if opportunity knocks again. The team that faced Europe lacked a number of Japan’s top pitchers and also a few key position players, though that part of the roster was almost at full strength. Japan should have most of its top players available for when the Premier 12 begins in November. Yamada and Tsutsugo stand a good chance of being called up then, while Matsui’s situation is cloudier, with pitchers such as Kenta Maeda (if he’s not posted) Chihiro Kaneko, Shohei Otani and others likely taking up space on the Japan roster. Everything depends on how Japan’s players apply the lessons learned this week and the way the produce for their teams during the season, because Kokubo has promised that he’ll be watching.